Welcome to The Quantum Lifeline, your up to date L.I.F.E. ezine. After yet another record volume month of sales we would like to warmly welcome all new L.I.F.E. System practitioners. We are extremely delighted to continue our record building success. The term "Got L.I.F.E" is taking on a new dimension. With the much-anticipated growth of Quantum Life, we are busily expanding our products and services. Many of these have been in development for many months now so we are pleased that they are nearing fruition. Our online practitioner directory has officially been launched. Clients can go online and search by zip code for a local L.I.F.E. Practitioner. Check out our search engine on our home page (bottom left) www.quantum-life.com. We have also developed a complete back office management system for all Bio-energetic Practitioners. This incredible back office soirée offers our new users some great resources and tools to build their practice. Quantum Life has always considered itself on the cutting edge of technology, striving to provide better - less expensive services. Well, we think we have done just that yet again! We are in the final stages of our Webinar development. In fact, as of the writing of this piece, we have implemented our first major test with 7 of our practitioners. The feedback from those participating has been nothing short of remarkable. As an internet-based learning paradigm, Webinars are the training venue of the future. And, remember, with Quantum-Life, The Future Is Now! We will be sharing our Webinars with all of you very soon. Again welcome and thank you for your support. Thanks to Marty and Michelle and of course Kaleb! If you are interested in hosting a LIFE community meeting please contact Ryan Williams on ryan@quantum-life.com for further information. I have my L.I.F.E. System. Now What? Below I have outlined some key points I think are important once you have purchased the L.I.F.E. System through Quantum Life. Please ensure we have your correct details including email address. Most of our correspondence is via email so this is critical. Ensure our emails are not going into your spam folder. Join us on one of our Practitioner Support Conference Calls. Alison Turner is available for Support Services at 1-866-293-LIFE (5433). Do give her a call and introduce yourself. Become familiar with our online resources. 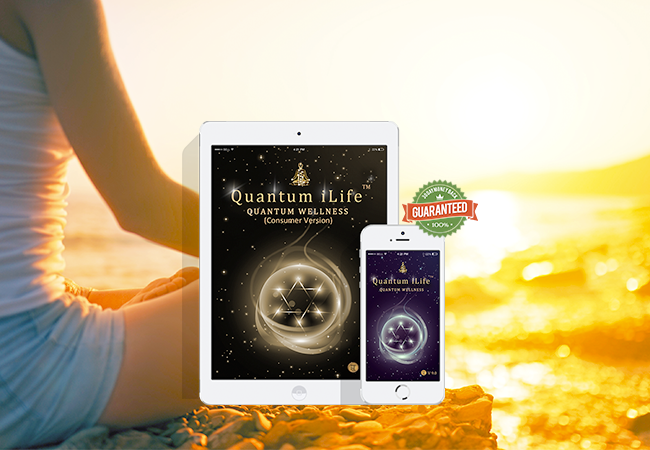 Check out our www.quantum-life.com site and look under the support tab. The College For International Holistic Studies www.cihs.ca is the training body for all new L.I.F.E. practitioners. Please give them a call on 905-864-8694 to discuss your training options. Remember you are entitled to a two day basic training as part of your purchase. These are just some basic pointers to get you going with your new L.I.F.E. Should you have any questions please call Quantum Life toll free on + 1 877 711 3113. This is a great way to get leads and maybe even make some sales. What is an EXPO? How do you plan it? What do you need? What do you do - once you are there? This seems, on the surface, to be a silly question until one actually investigates the term. Expo is defined as a collection of things (goods or works of art etc.) for public display. It is derived from the larger word exposition. The reason I wanted to point out the definition is because it really shows that an expo can come in many sizes. To me, the most important part of the definition is: "…a collection of things… for public display." Public display is the point I am trying to make here! Too often everyone makes the concept into a project that is too BIG to do. I want you to understand that it can be B I G or small and yield the same basic results. Etc., etc., & etc. I am sure you have caught my drift. If you want to start smaller, then find out what health fairs may be happening in your local area. Again, the internet is your friend and of course your local newspapers and chamber of commerce. Research is the key. Once you have located your desired venue, it's time to take the leap! Yes, you may have to "fork" over some of your own $$ in order to garner the best space or table, but don't be stingy - and don't pay too much or too little. Wait a minute - this is starting to get complicated. The first time you try to do this, it is always preferred to co-op with someone who has experience. But don't be afraid to go alone if you have to. Get the date, get the space, and get yourself in gear. There's a lot more to the planning phase - but I've got to cover two more topics before I run out space. You need a table - most venues will supply a table and chairs - but plan to stand! Why do I say, "plan to stand!" Because you will not be sitting behind your table looking out at the venue world. You will be out in front of your display walking in the "traffic lanes qualifying your leads (more on qualifying later). You need a banner - we have specific details that are to be displayed on your banner (3' X 8" vinyl with our logo#1, headline#2, and url#3 email me for details: ). You need "eye catchers" - eye catchers are things that catch people's attention. The best way to understand this concept is to go to an expo and see how the successful presenters get your attention. You need a helper - a helper is someone who can qualify and talk about your product while you are giving the demo. You need energy - don't go tired! WHAT DO YOU DO - ONCE YOU ARE THERE? Never leave your post! Except for 15 minutes to the bathroom or 15 minutes to eat! Always be pleasant! It is very hard to watch people walk by your display, but don't take it personally. Remember - they will be back if you smile. Qualify your leads! - NEADS is an acronym from "Selling For Dummies", by Tom Hopkins. N is for now: What does the customer have now? E is for enjoy: You have to demonstrate that the customer will enjoy the L.I.F.E. A is for alter: Tell the customer how the L.I.F.E. will alter their health. D is for decision: Are they the decision maker? Keep out of the limelight - let the selling situation be the star! Always take notes - let the customer know that what they say is important. Make the people you're questioning feel important. Ask standard and innocent questions - How much do you plan to invest to own one? Listen to both verbal and nonverbal responses - pay attention to their body language, look at their posture, note what they are wearing, and even the car they drive (if possible). Build on the answers you get - Never call a client out on a detail! Say, "Was I wrong in my understanding?" Relieve any tension your questions create - change the subject (for a moment) if you feel some relief is needed. Use nonthreatening language and a sympathetic tone - The goal is to reach a win-win agreement. Let them know you'll be in touch - always leave the door open for further discussion. Don't stop contacting them until they say STOP! I always recommend the book, "Selling For Dummies" - it is an incredible source. I just scratched the surface but hopefully this information is helpful. As always email me if you want more bruceholms@quantum-life.com That's it for May, I'll look forward to your emails, Bruce. For those of you that know me, I probably seem to have dropped off the planet! For those of you that don't know me, I used to play a 'busier' role in Quantum Life and have now come to appreciate the vast differences between my husband Ryan and myself, you know the yin and yang thing! For so long we had conflicting ideas about the direction of the company, not realizing we were causing more than just ripples. We were creating some pretty big waves! Our personal relationship and family life suffered as a result of the constant conflict between us and we knew some serious decisions had to be made. I am more suited to being less involved in the day to day involvement of the company and more suited to the overall vision and direction, which is something Ryan and I are both aligned with. The turning point was when our youngest two children asked me if I would please collect them from school every day. This happened when our child minder was unable to get to our house following the terrible disaster at La Conchita last year. Consequently, I collected the children from school and that was when I realized just how much they need me as a mom. Quantum Life had already transitioned through a very difficult period when we decided to change our focus to the L.I.F.E. System. This ruffled quite a few feathers in the Quantum community, yet we knew we had made the right decision. I first decided we should represent the L.I.F.E. System on recommendation of a very dear friend and colleague Linda Crawford, whom I studied with at the London College of Practical Homeopathy in the UK. Linda arranged for us to meet with Chris Keser, the developer of the L.I.F.E. System and in doing so we made the decision to represent this amazing health technology. I am so proud of Ryan for his dedication to the development of the Biotech Practitioner Site www.biotechpractitioner.com. He has worked long hours and suffered many set backs with this site due to the ever-changing world of software design and development. Beta 1 is now ready to be launched and all Ryan's efforts will be rewarded in the success of this complete back office management system for all bioenegetic health practitioners. Not only has Ryan dedicated his time to the Biotech Practitioner Site, he has also ensured there is a 'live' person to take your calls each day as we feel this is such an important aspect of providing support to our customers. On that note, a big 'Thank You' to Alison Turner for providing Quantum Life's support services with a smile! Alison is very talented and has helped us tremendously in our transition with L.I.F.E. It's been a long winding road so far, yet a very interesting one and we feel so blessed to be sharing the vast health benefits of this incredible technology with you. Ryan and I are blessed to have the help of Bruce Holms, who directs and manages the sales support. Bruce is very instrumental in guiding Quantum Life, probably because of his musical background! He is very inspirational and his wealth of experience is very much appreciated. Since I have not been so involved in the day to day running of Quantum Life, I have had time to explore some ways to be more pro-active in helping the planet. Most of you probably already have composters and are fully aware of the immense benefits in using them and just how much waste you can make use of. Just this alone is helping to significantly reduce the overall problem of excessive waste material being dumped into land fills. I highly recommend a company by the name of Green Culture, www.greenculture.com for all your compost needs and more! I found the 'Bokashi' composter very versatile because you can keep it indoors as well as outdoors and because of the unique fertilization process, you have compost in less than half the time of using most conventional compost bins and it's affordable at $62.50! Another remarkable invention I would like to share with you is the 'green gas pill'. This product will save you money on your gas bill by increasing your miles per gallon by up to 40%. With gas prices on the increase and the serious concern of environmental pollution, we are faced with a huge crises to deal with. Bio-Performance can also earn you money if you decide to utilize the unlimited possibilities of developing a business from this to earn more income. One 40-pill bottle costs $40 and will treat 320 gallons. For more information go to: www.carsongreenpill.mybpbiz.com Contact either Ryan or myself at 805 962 4293 or kandr@quantum-life.com if you have any questions and would like to know more about this money saving, money making and planet preserving venture. I have also been working on starting up a raw food for kids company, 'Kids Go Raw', where I will deliver the raw food lunches, each one with an educational leaflet detailing the foods that nature intended for each organ of our body ie. Walnuts for the brain, broccoli for the heart, beets for the blood etc. And notice how they are so similar in shape! Nature knows! I am also working on the production of a homeopathic line, natural clothing line and of course animal welfare. My mother was an animal activist and it was her wish that I continue her efforts to help our animal friends, as well as become a homeopath. I was inspired by my mother to pursue the path of natural medicine and I am eternally grateful for all that I have experienced on my journey. The burning question with many practitioners. How can I market my practice? Over the coming months I will be sharing some basic insights in how to build your practice. Remember without the marketing - how can you achieve the miracle? These go hand in hand. Local Newspaper Advertising with a difference! I am sure many of you have tried advertising in a local newspaper? The truth is this type of advertising does not work very well. However the local newspaper is a great resource you just have to figure out how to use it properly! Local newspapers love to support their community and as a new practitioner with a "special gift" they would be delighted to do an article on your new L.I.F.E. Practice. This is where local newspapers are a fantastic resource! Objective: To invite a journalist to your practice and to have them write an article on their experience/evaluation. Go through the local newspaper and take note of the editors and journalists. Look for all the health related/medical articles and see who wrote them. "Perhaps you can help me. I have just invested in a state of the art preventative health screening device and wonder how I could get an article written by you?" How is the key word and asks for a solution to the question. Remember a journalist is always looking for new and exciting material for the newspaper. This is a win win for both parties. Invite the journalist to a FREE L.I.F.E. Balancing session. Something like "I'd like to give you a complimentary evaluation with The L.I.F.E System. It is totally non-invasive and pain-free. In fact, the initial test will show your response to thousands of substances in a matter of minutes." "Perhaps you can write an article on your experience of The L.I.F.E. System?" Be sure that the journalist is a supporter of Integrative Medicine. A drug-pusher journalist will probably not be your best bet. Further discussions may be required. Remember to enroll the journalist in the conversation. "Do you take an active roll in your own health?" "Perhaps a FREE evaluation will help you understand the benefits of this modality for the community"
"Quite often The L.I.F.E. System will highlight imbalances other practitioners overlook"
Schedule the appointment and get a commitment from the journalist. The journalist will want to leave with some solid facts about their own state of health. So during the consultation relate what shows up on The L.I.F.E. System to their own current state of health. You want the article to reflect the personal experience of the journalist. This is key during the session. Be sure they get a picture of someone actually hooked up to The L.I.F.E. System for the article. Find out when the article will be published and brace yourself for the incoming appointments.